eMentum leverages an inventive and effective B2G rebrand, resulting in expanded market reach and increased brand visibility amongst federal agencies and private sector corporations. For over 15 years, eMentum has delivered trusted solutions in identity management, strategic consulting, program management, and enterprise training to the highest levels of government. After a celebrated period of success, eMentum found that the company’s digital brand did not accurately depict its insight, innovation and proven track record. 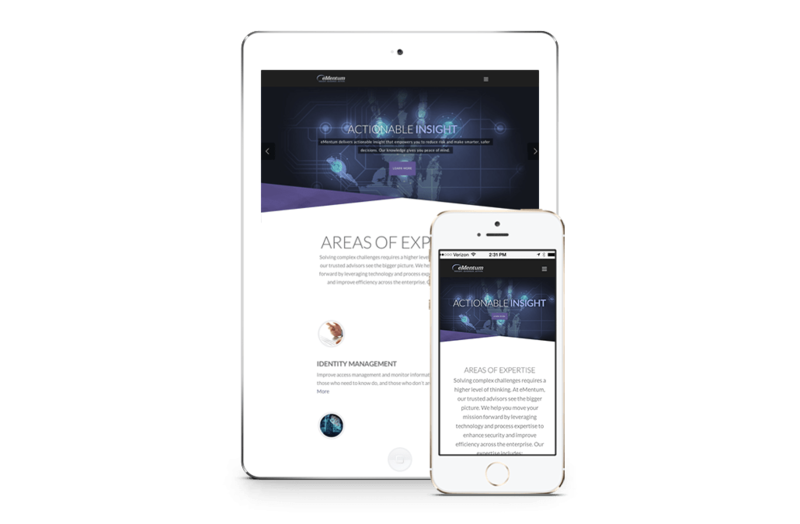 In order to better communicate its solutions and expertise eMentum reached out to trusted partner, Borenstein Group to architect a digital B2G rebrand, including a new responsive website, content marketing, and strategic messaging. After thorough research, Borenstein Group developed concise strategic brand messaging that effectively showcased eMentum’s expertise to target audiences. The Borenstein team created a unique value proposition with a dynamic corporate tagline, “Insight. Guidance. Action.”, which defines the new brand message and effectively positions eMentum as a premium player in the competitive federal IT market. 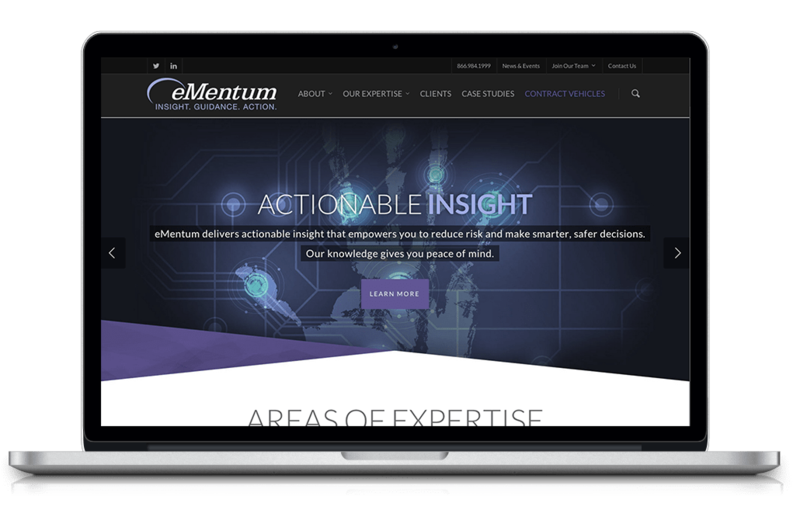 Borenstein Group was able to accurately depict their company strengths on the new website, bringing eMentum’s brand identity to life on screen. The B2G digital rebrand included design and development of a fresh, responsive new website that delivered an enhanced user experience. The new site features simplified navigation and is tailored to reach key audiences such as government agencies and private sector corporations. The revised website also highlights Borenstein-developed content marketing, including case studies that showcase eMentum’s capabilities and past success. In addition, the site features a robust careers section to encourage recruitment of new talent, and highlights eMentum’s continuous efforts to provide a superb workplace for its current employees. Both from a visual and strategic messaging perspective, eMentum’s new B2G digital brand accurately depicts the company as a whole and showcases its proven record of client success. eMentum’s robust list of management and information technology solutions are now accessible to key stakeholders and clients. Thanks to Borenstein Group, eMentum, now set apart from its competition, is poised to continue its constant growth in the federal contracting arena.